Hold all the phones. In the biggest decision since The Decision, LeBron James has ditched his roots for gaudy plains anew. 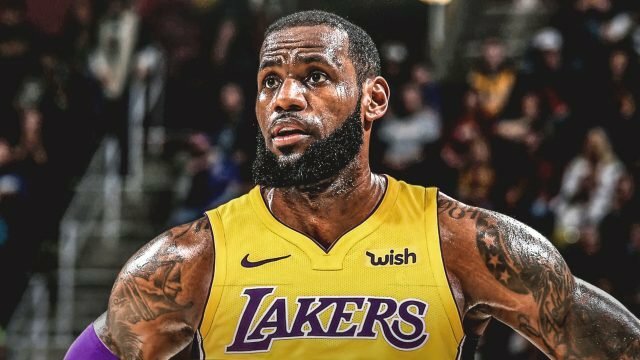 According to his agent, Bron Bron is officially going to be a Los Angeles Laker, to the tune of $154 million. The interesting part is not the amount, but rather the length, as the four length deal will run through his age-37 season, which means LA might be his penultimate stop. This is the 3rd time LeBron James has changed teams after a top-3 MVP finish. What this means, of course, is the rejuvenation of The Lake Show to its gaudy 1980s zenith, and not the pale recent re-runs the long suffering Los Angeles fans had to deal with since Kobe retired in 2016. Such trauma. However, Bronnie is joining a team in flux. They’ve got a future, but their present is godawful. Brandon Ingram, Lonzo Ball and maybe Kyle Kuzma represent the kernel of tomorrow, a timeline now marched forward by the sight of the King rolling into town. Now that Paul George has inexplicably re-upped with the Thunder (for four years also), much hinges on the magic of Lebron (and Magic) to bring the wayward Kawhi Leonard home to LA. With that being said, even if it falls into place, is the starting five of Lonzo Ball, dunno, Kawhi, LeBron and Brook Lopez/Julius Randle good enough to overcome Houston, never mind the Golden State Warriors? I mean, won’t be just be carrying these lesser dolts in a tougher conference? Either/or, it’s wonderful to see the Lakers restored to what they once were: The association’s premier antagonists. Presents you the alternate world of sports. Well, not alternate, because it's primarily based on sports. A deeper look into the world, villains and loss surrounding the gaudy world of professional sport? Yeah, that'll do. Every Sunday, if your church hangover can handle it.